If you like the natural beauty of hardwood flooring or stone but want quick and simple installation with minimal maintenance, laminate flooring is the way to go. Laminate flooring is also easy to maintain for years of lasting beauty. 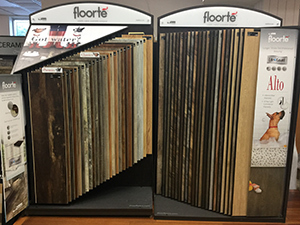 The luxury vinyl tile (LVT) or luxury vinyl plank (LVP) flooring now available is one of our most popular and desired flooring types given the many options in style, durability, and pet and stain resistance. Let’s not forget waterproof as well! We carry the top brands including Bliss, Kraus, Meridian, and others! You want beauty, but resilience as well. There are some amazing products available from vinyl, laminate, and natural lime stone tile. Carpet Royale Floors carries a complete line of products from the world’s leading manufacturers. Listed below are just some of the quality brands we offer for your home or office. The variety available is seemingly endless. Do you have a unique flooring idea in mind? Let us help you turn your unique view into a reality. Stop by today or give us a call. We will help to discuss your plan and provide you with a free estimate on the price of your flooring project. After all, quality flooring can truly make the home. 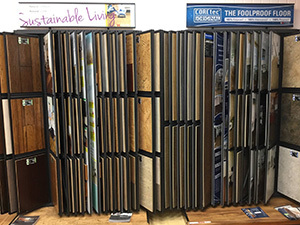 Vinyl flooring offers sheet flooring that is resilient, beautiful, versatile, and affordable. 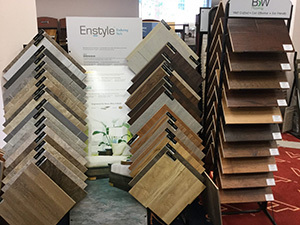 It is a seamless type of flooring that has seen continual style and design updates to meet the demands of today’s home owners and business owners alike. 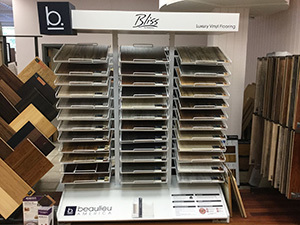 At Carpet Royale Floors, you will find dozens of options that look and feel like the real thing. 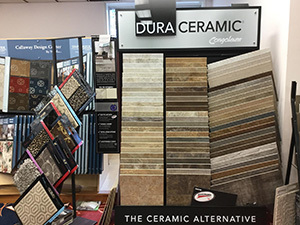 We have samples for each of the listed manufacturers in our large showroom conveniently located on West Broad Street in Falls Church. Proudly serving the entire Northern Virginia area.